“MTC has been extremely helpful to our school and the services they provide are superb. MTC does a perfect job screening our students and determining which children are in need of services. 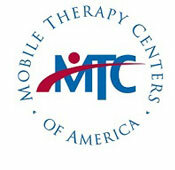 MTC’s school and family communication is great and as a school administrator I feel that I am always aware of any students that are receiving services, schedules, and constant updates that involve MTC”. “I’m thrilled MTC has joined Prince of Peace School!!! It’s a gift to have a team of experts on site to work with students in varied levels of their education. There is always a warm greeting from you and the others, and the children I teach that have been with you are consistently willing and happy to go to their sessions.